Witty, clever and beautiful, Joan Collins possesses a singular star quality that has come to define what it means to be a living legend. As an actress, author and producer she has built a career that places her in the unrivalled ranks of an international icon. 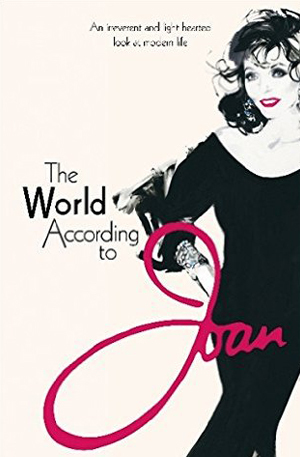 In The World According to Joan she shares her life experience with her trademark humour and wisdom. From manners to men via fashion and family, to ageing and marriage, she takes on subjects close to every woman’s heart. Erudite, honest and full of verve, this is Joan Collins at her definitive best.